Few would argue that the crash helmet is the most important piece of safety equipment for motorcyclists. 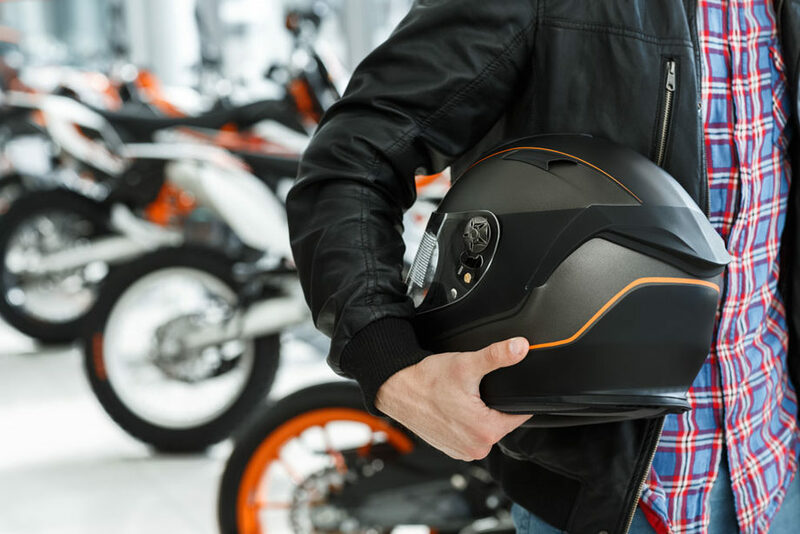 The crash helmet not only protects against head injuries, as the levels of comfort and practicality can also have an impact on the enjoyment you get from your riding. Helmets should be replaced every five years or so, or if they are subjected to any damage. While buying one shouldn’t be too difficult a task, it’s definitely advisable to simply do more than just choose which style or colour you like the most. An invaluable resource is the Government’s SHARP website (www. sharp.dft.gov.uk). SHARP is a scheme that tests and rates crash helmets for safety, running 32 tests on products sold here in the UK. While all the major manufacturers (including AGV, Arai, Shark and Shoei) carry out their own testing and development to ensure a high quality product, the SHARP ratings are a good way to confirm the quality of what you are buying, especially if you are looking at a lesser known brand of helmet. SHARP also gives some good advice on buying a helmet, particularly with regards to making sure you try it on before you buy to ensure that you get a good fitting and comfortable crash helmet. Loose fitting helmets will not offer adequate protection, while wearing gear that just isn’t comfortable will invariably affect the enjoyment of your ride and potentially lead to a loss of concentration. What makes for a comfortable helmet is subjective. Different helmets have slightly varying inner shell shapes and features, which some riders may find comfortable and others will not. Does it matter if my helmet does not reduce wind and road noise? How quiet a helmet is will be a factor for many purchasers too. This is not something that SHARP measures but is an important consideration for many riders. Wind noise at speed is not only annoying, it can also cause fatigue and potentially damage your hearing. Renowned German magazine Motorrad recently tested some of the most popular full faced touring helmets for noise. They found that, on average, wearers were subjected to 94.3dB of wind noise at 100kph (62mph), and 100.5dB at 130kph (80mph). Research has shown that prolonged exposure to sound of over 75dB can cause tinnitus, a permanent ringing in the ears, or noise induced hearing loss. Just three minutes subjected to 102dB of wind noise can potentially cause irreversible damage, a figure exceeded by nine of the 20 helmets tested by Motorrad at 130kph. Even 15 minutes of riding at 60mph can be enough to cause damage to the rider’s hearing, with all but one of the Motorrad helmets exceeding 85dB at 100kph. Helmets may be a vital part of the motorcyclist’s kit, however the wind noise can be seriously damaging to a rider’s health. With wind noise so potentially damaging, the wearing of filtered ear plugs – such as the Auritech Biker Universal Fit protectors – is recommended for riders riding at 50mph or above. These plugs feature a clever patented filter that reduces the wind noise while allowing ambient sound through, meaning that the wearer can retain awareness of their surroundings. When combined with a quiet, comfortable and good fitting crash helmet, filtered ear plugs can seriously enhance the riding experience while reducing risks to the wearer’s long term hearing.